Vitamins A, D3, and K2 work in concert for many aspects of health. All three must be in balance for effective results in various parts of the body. In this post we highlight the overlapping and synergistic benefits between the three vitamins. More details are available in the post for each respective vitamin. Vit-D takes center stage as it has multiple links to both Vit-A and Vit-K. In some cases all three play a role in supporting functions in the body. These three vitamins are very much interdependent. Vit-A is an essential factor in Vit-D’s hormonal function and K2 is necessary to activate the proteins made in response to Vit-A and Vit-D. Vit-A, D3, and K2 all promote a healthy immune system and supports bone development and strong teeth. Several immune system functions depend on Vit-A. 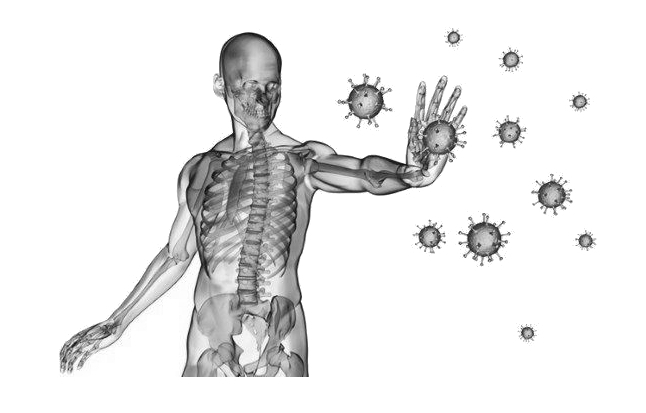 Genes involved in immune responses are regulated by Vit-A.1 It is essential for preventing serious conditions like cancer and autoimmune diseases, but also common illnesses like the flu or common colds. Vit-A ensures better immunity by keeping the mucus membranes moist and enhances the activity of white blood cells. Vit-D receptors are found in most immune cells. Populations with limited sunlight exposure have been found to have weakened immune systems compared to populations with greater exposure to direct sunlight. Vit-D is believed to help maintain healthy immune cell development, differentiation and migration. Those with higher levels of Vit-D are less likely to suffer autoimmune diseases, including type 1 diabetes and multiple sclerosis.2 Higher levels of Vit-D are associated with proper cytokine production which is important for signalling in the immune system. Higher serum levels are also linked to the enhancement of the body’s local antioxidant defenses. Gas6, a Vit-K dependent protein closely associated with the nervous system, modulates microglia which are the primary immune effectors of the central nervous system and are at the core of tissue maintenance and repair. 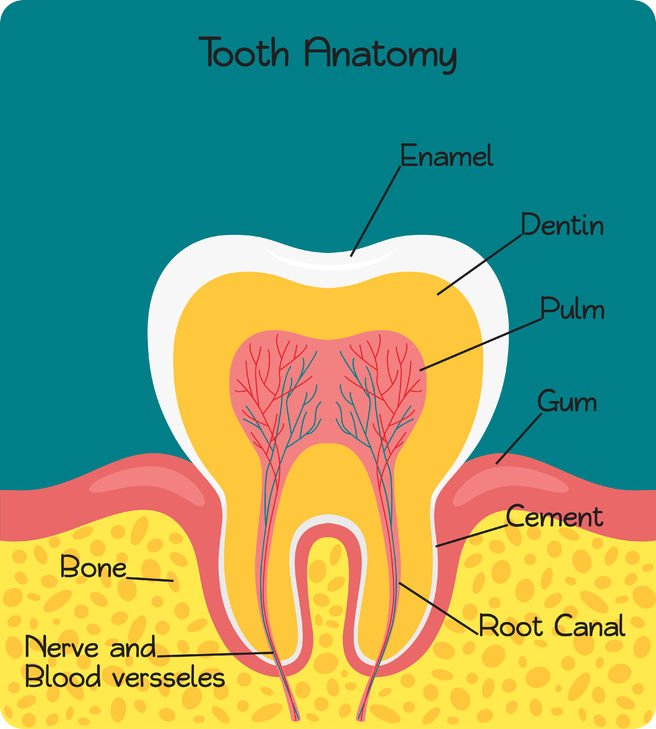 Vit-A strengthens the teeth by helping to form dentin which is a layer of hard material just below the surface of the tooth. Vit-D is key for the development and maintenance of bones. It is pivotal for normal skeletal development in the womb, throughout childhood and also for adults. Vit-D enhances intestinal calcium and phosphorus absorption and reduces urinary calcium loss. It also promotes bone health by maintaining the parathyroid hormone levels at healthy levels which stimulates bone forming activity and encourages bone mineralization. Vit-A and D3 both regulate the activity of osteoblasts and osteoclasts. In some cases, their regulatory effect involves interactions between the vitamins and their respective receptors on the actual bone cells. In other ways, the vitamins modify bone remodeling indirectly. K2 maintains and improves bone mineral density. Our bones need osteocalcin to absorb calcium. Osteocalcin is released by osteoblasts (bone building cells) and binds to calcium. Osteocalcin requires K2 to become fully activated so that it can bind to calcium.5 Osteocalcin also stimulates the growth of new dentin, which makes your teeth stronger.6,7 Dr. Weston A. Price identified Vit-K was one of the vitamins that is vital for tooth remineralization and the prevention of cavities. Vit-A and D3 aid with the formation of bone matter. Vit-D also helps you absorb calcium while K2 helps direct the calcium into the bones. As we can see the bone forming functions of these vitamins are inter-connected. It should also be noted that taking Vit-D alone can cause a deficiency in K2 because more K2 is needed for the bone forming activities triggered by the Vit-D. For this reason it is important to make sure you are getting enough K2 when supplementing with Vit-D.
Vit-A has a wide range of benefits and also enables benefits of Vit-D in our system. Research suggests that health benefits, such as improved gene function and the inhibition of prostate cancer, are maximized by the supply of both vitamins. Vit-D has a real effect on fetal modifications of gene expression and regulation. This could explain why it has such wide-ranging health benefits at all stages of life. Vit-D is also involved in gene expressions for the production of dopamine, one of our feel-good neurotransmitters. Vit-A seems to aid in the use of dietary protein. Androgens are steroid hormones that regulate the development and maintenance of male characteristics in vertebrates and they typically promote prostate cancer. However, Vit-A boosts androgen production while also strongly inhibiting prostate cancer. Vit-A can bring about the death of prostate cancer cells.10 Retinoic acid is a chemical made from Vit-A. 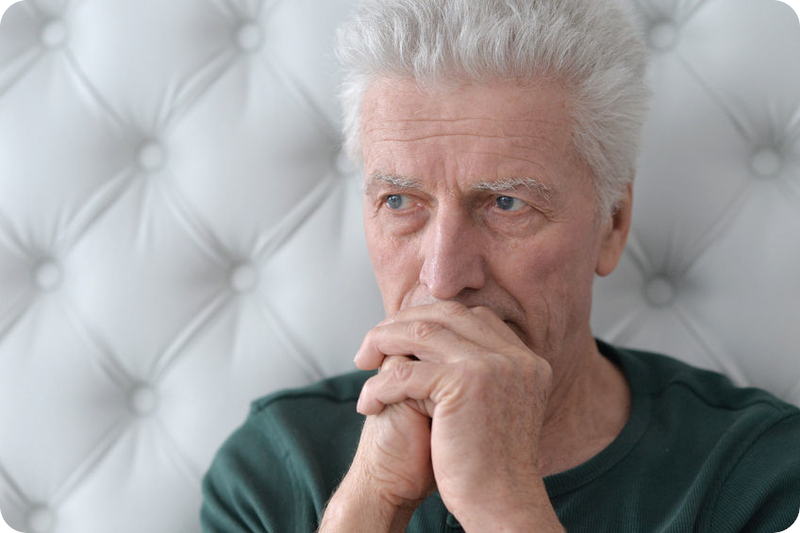 It can activate specific genes in prostate cancer stem cells and reduce the ability of the cancer to invade surrounding tissue.11 Findings suggest that Vit-A related compounds can be used to enhance clinical treatments for prostate cancer. In addition to these overlapping benefits it has been shown that moderate amounts of Vit-D increase the body’s need for Vit-A. It has also been shown that Vit-A protects against the negative effects of rare Vit-D toxicity. It makes perfect sense to supplement with both these vitamins together. Vit-D and Vit-K both contribute to proper mental health and cognition, and help preventing and reducing inflammation. Vit-D has a positive effect on mental health by helping to produce serotonin and dopamine in the brain and protecting neurons from oxidative degeneration. Serotonin and dopamine are the neurotransmitters responsible for making us feel good. They occur naturally in the brain and help the mind to stay calm and maintain focus during tasks. They also help you to resist depression and other mood disorders. Vit-D is also involved in gene expressions for the production of dopamine. Dopamine neurons are in the midbrain and their target neurons are in the motor and rewards systems. The motor system allows us to move and the rewards system make it desirable for us to move. These neurons were found to express the D3 receptor protein. Vit-D helps protect our neurons. Active Vit-D enhances glutathione metabolism in neurons whereby it promotes antioxidant activities that protect neurons from oxidative degeneration. Vit-D receptors have been found in areas of the brain involved in both memory and cognition. Studies have shown Vit-D to be an essential neurosteroid hormone that plays a wide variety of protective and regulatory roles in the brain. Chronic inflammation is the source of many diseases, including cancer, obesity, and heart disease. 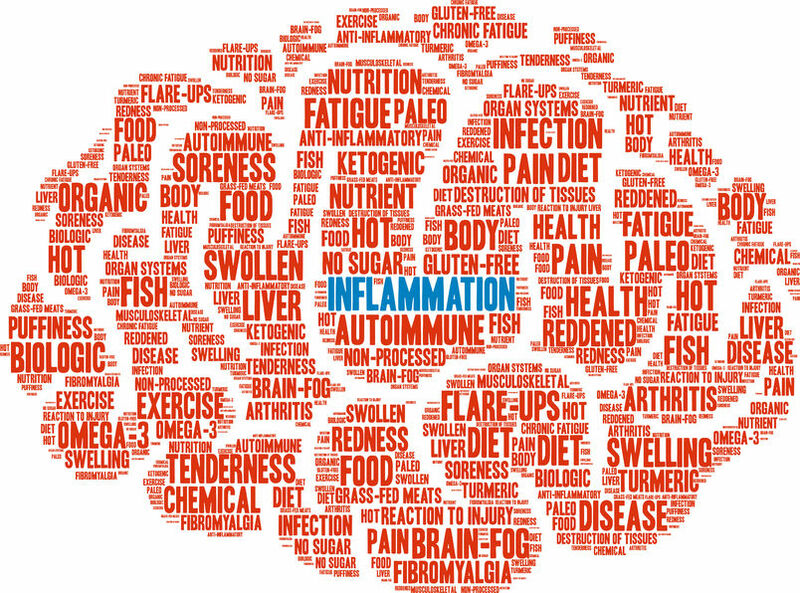 Inflammation is also a crucial component of many chronic aging diseases. Taking Vit-D alone can contribute to a deficiency in K2 as more K2 is needed for the bone forming activities triggered by the Vit-D. The more Vit-D your body has the more K2 it needs. Vit-D toxicity, though rare, also appears to result from a depletion of Vit-K.
Vit-A and Vit-K both contribute to healthy and younger looking skin. They help protect from skin cancer and keep wrinkles at bay. K2 is also promising for skin health and anti-aging because it can help stop the accumulation of excess calcium in the skin. The excess calcium makes the skin less elastic and can contribute to wrinkles. 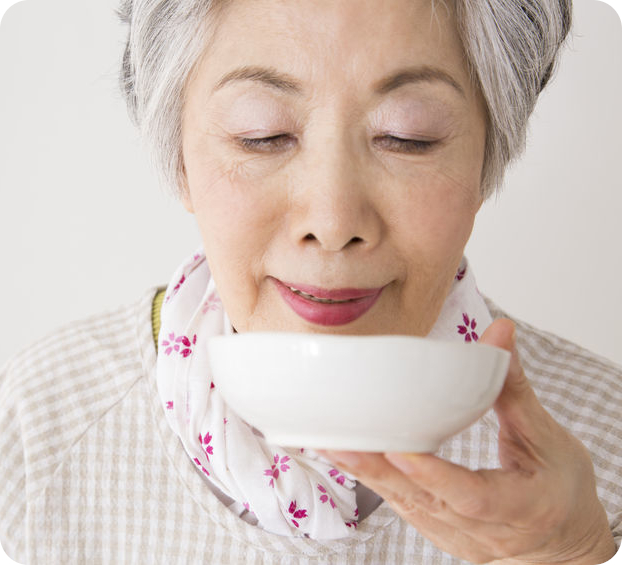 Research has shown that Japanese women were less likely to have wrinkles than other cultures.22 Nattō, which is fermented soy containing high amounts of K2, is common in the Japanese diet. The high K2 content in the Japanese diet contributes to healthier skin. These three vitamins are very much interdependent. Vit-A is an essential factor in Vit-D’s hormonal function and K2 is necessary to activate the proteins made in response to Vit-A and Vit-D. We have considered the positive effects these three vitamins have on bone development, teeth and the immune system. Vit-A works with Vit-D to promote healthy gene function and limit prostate cancer. Vit-D and Vit-K both contribute to good mental health, sound cognition, and healthy nerves. Vit-A and Vit-K contribute to healthy and younger looking skin while protecting from skin cancer and keeping wrinkles at bay. One can expect noticeable holistic health improvements in the short-run as well as considerable benefits in the long-run. This trio makes for an effective combination and should be a core component of any supplement strategy. Here are the areas where these vitamins work together. We considered how these vitamins create demand for each other. Taking Vit-D alone can cause a deficiency in K2 because more K2 is needed for bone forming activities triggered by Vit-D. Moderate amounts of Vit-D increase the body’s need for Vit-A. Both Vit-A and Vit-K help protect against the negative effects of rare Vit-D toxicity. Not only do these vitamins work well together to maintain good health, they also protect you from toxicity and negative side effects. 4) Kaneki, M. (2005). [Vitamin K2 as a protector of bone health and beyond]. Clinical Calcium, 15(4), 605-610. 5) Maresz, K. (2015). Proper Calcium Use: Vitamin K2 as a Promoter of Bone and Cardiovascular Health. Integrative Medicine: A Clinician’s Journal, 14(1), 34–39. 6) Thaweboon, S., Thaweboon, B., Choonharuangdej, S., Chunhabundit, P., Suppakpatana, P. (2005). Induction of type I collagen and osteocalcin in human dental pulp cells by retinoic acid. Southeast Asian Journal of Tropical Medicine, 36(4), 1066-1069. 22) Vashi, N.A., Buainain De Castro Maymone, M., Kundu, R.V. (2016). Aging Differences in Ethnic Skin. The Journal of Clinical and Aesthetic Dermatology, 9(1), 31–38.